Unless you've been living under a rock or some such, you'll know that Xiaomi sub-brand Pocophone will be putting up its very first smartphone, the Poco F1 up for sale tomorrow. The Poco F1 has been marketed as the 'Master of Speed' and to that end the phone sports a Snapdragon 845 chipset and the base variant has a 6 GB RAM + 64 GB storage. What is really astounding is the price, which has been set incredulously low at Rs 20,999. 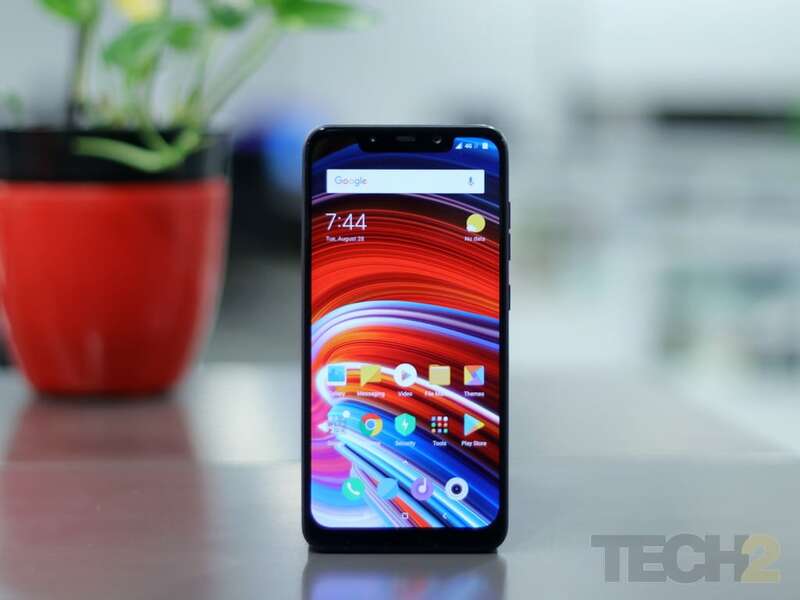 While this might seem a bit high to users of budget and mid-range smartphones, we must remind everyone that the Poco F1 is the cheapest Snapdragon 845 smartphone in the world right now. Base variants of both the nearest competitors to the Poco F1 which are the Asus ZenFone 5Z and the OnePlus 6, cost Rs 29,999 and Rs 34,999 respectively. Naturally, there is a lot of hype surrounding the device, with claims of completely destroying the mid-range smartphone segment with its super aggressive pricing. As Xiaomi usually loves to do things, it's no surprise that the Poco F1 will have a flash sale. For those who are not aware, a Flash sale happens only for a fixed amount of time on a given day and the device can only be purchased during that time. So here is where you can buy the device and also the best offers you might get on it. When and Where does the sale start? As of right now, there are only two places you can buy the Poco F1, that is Flipkart and Mi's online store. During flash sales, it is imperative to act on time. Sales of some smartphones have ended in mere seconds, so time is of the essence. The sale starts at 12.00 pm sharp on both Flipkart and Mi.com, so it is preferable that you log on to both websites as soon as the clock hits 12. Instantly put the device in your cart and click buy. Since time is really of the essence you can make quick and direct payments using UPI service, provided you have UPI enabled for your account. If not, then it would be advisable to save your card details for a fast transaction. There will also be a Cash on Delivery option as well on both Mi.com and Flipkart. It would be advisable to have your delivery address already saved on either of the two websites. We also recommend that you decide early on which model of the Poco F1 you are planning to buy as there are a total of four. There is the base 6 GB + 64 GB version for Rs 20,999, 6 GB + 128 GB version for Rs 23,999, a 8 GB + 256 GB for Rs 28,999 and finally a Kevlar edition Poco F1 with 8 GB + 256 GB for Rs 29,999. The lower storage versions will likely disappear first, so we advise you to move fast with the purchase. In case the server times out, keep on refreshing the page till it comes back online, though it might be too late by then. There are several offers also that will be bringing down the effective price of the device. These include a Flat Rs 1,000 instant discount on HDFC Bank Debit and Credit cards. On Flipkart, there will be also an extra 5 percent off with an Axis Bank Buzz Credit Card. MakeMyTrip and Jio are offering a massive deal on the Poco F1 if you purchase from Mi.com. There are cash benefits of up to Rs 8,000 which includes 2,400 Instant Jio cashback, Rs 5,600 Instant Discount on Flights & Hotels from Makemytrip.com and also up to 6 TB Jio 4G data. Yeah, that's right, 6 "TB", with a T.
Now we couldn't find exactly how this 6 TB of data will come to you even after scourging through the terms and conditions. It's just mentioned on Mi.com. Let's see how that turns out. The Jio Cashback, however, will be credited to your MyJio account and can be used as 24 Rs 100 payments on future recharges. There is also another offer that you can use to secure your phone against accidental and liquid damages with Mi Protect starting from Rs 1,099. The last offer gets you a free, 3-month subscription to Hungama Music.